Hey Y’all! Today’s post is for all my fellow females out there because today I’m sharing some things you can do to start balancing & supporting your hormones naturally. And, at the end of this post, I’m sharing 3 Hormone-Balancing Smoothie Recipes that you can start to incorporate into your weekly routine to help support your endocrine (hormonal) system and balance your hormones. Now, more than ever, it’s so important for us women to support our overall endocrine system because there are so many hormone disruptors in our environment and food nowadays. And, these are just a few of the hormone disruptors found in our modern-day environment and lifestyle. Of course, it can be difficult to rid your life of every hormone disruptor we come into contact with, which is why I suggest consuming things that help to support your endocrine system on a daily basis. Supporting your hormones daily doesn’t have to be extensive or complicated. It really comes down to the basics of healthy living. Get more sleep. Sleep is critical to restoring and keeping your endocrine system strong, especially your adrenal and thyroid glands. Eat a diet that supports your hormones. Certain foods and eating styles can support your hormones more so than others. 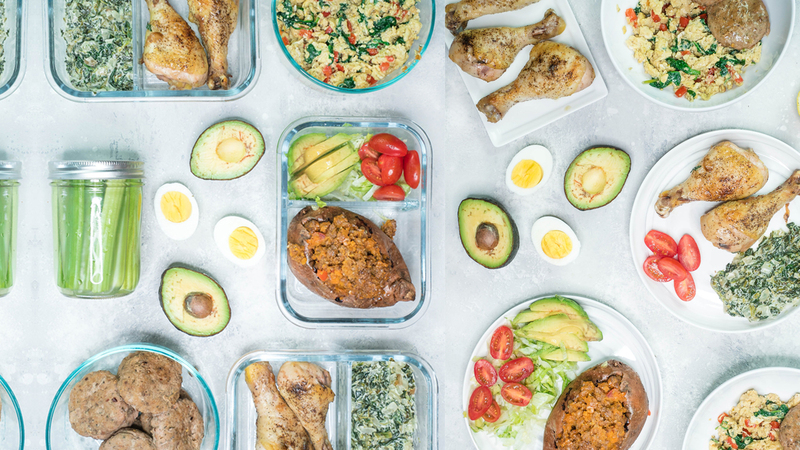 I like to stick to a carb-cycling or cyclical-keto eating style as laid out in my meal plans. 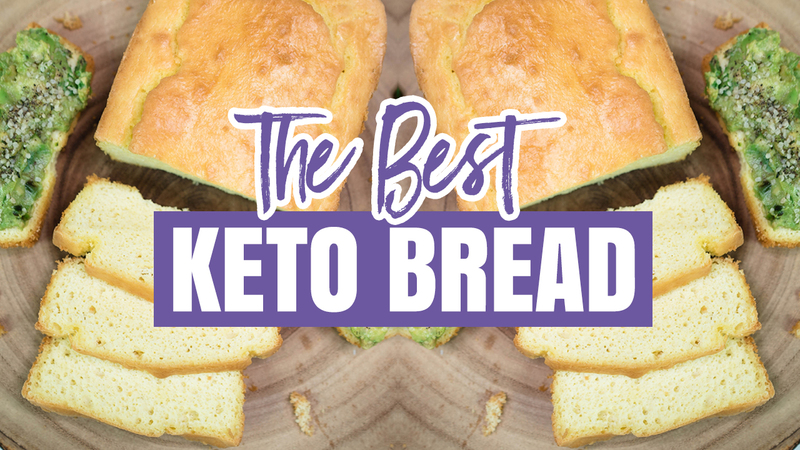 I rotate between keto meals and healthy starchy carbs and have found this way of eating to be the best in terms of balancing my hormones, supporting my glands, and having consistent energy. Take vitamins/minerals that specifically support your hormones. There are certain nutrients that one should take if they are dealing with a hormonal imbalance, including magnesium, vitamin D, glandulars, etc. But, this should be dealt with on a case-by-case basis, so I highly encourage you to work with a naturopath, nutritionist, functional medicine doctor, etc. in order to create a personalized supplement plan (this will save you lots of money & trial and error). Take adaptogenic herbs. Adaptogenic herbs help to promote balance in the body and can help to regulate your system up or down depending on what your body needs in that moment. They’re great for improving your energy level, lifting your mood, reducing stress and anxiety, and much more! Two are my favorite adaptogenic herbs are Ashwagandha and Maca. And, my favorite brand is Superwell Superfoods because their powders are 100% organic and contain zero fillers. Ashwaganda is one of the best adaptogenic herbs when it comes to improving your overall energy levels, reducing stress and anxiety, improving your mood, boosting brain power, improving sleep, and supporting your endocrine system as a whole. But, where ashwagandha truly shines is in managing stress and anxiety. In fact, some studies show that it can actually help to reduce cortisol, which is a hormone that your body produces when it’s under stress. And, in the short term, that’s not necessarily a bad thing if you need to escape from danger. But, the problem is that nowadays we’re chronically stressed and chronic stress means chronically elevated cortisol. This chronic stress can eventually wear down your adrenal glands, which can ultimately affect your thyroid as well (it’s a domino effect). 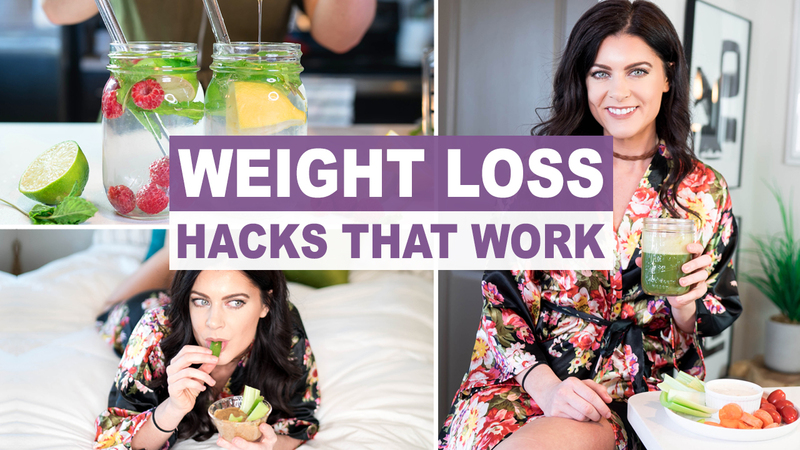 Additionally, chronic cortisol can lead to belly fat, low energy levels, the need for caffeine, brain fog, and much more! So, managing stress is critical when it comes to balancing hormones. And, ashwagandha is great in this area because it can help to balance cortisol and make your body more resilient to stress. 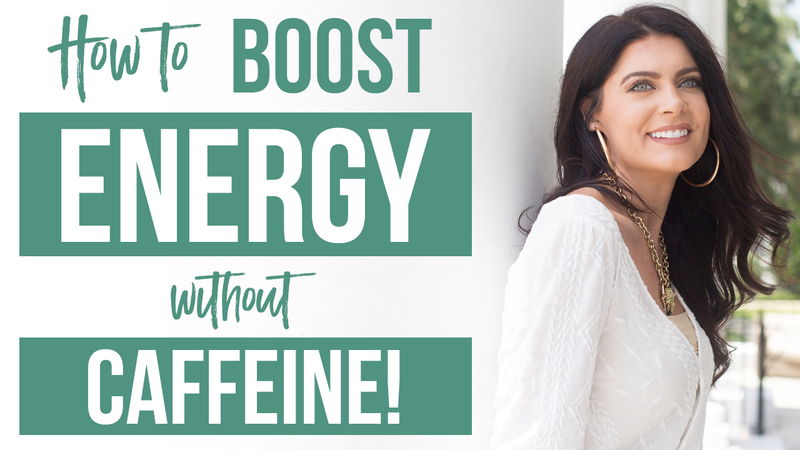 Plus, the energy boost ashwagandha provides makes it a staple in my healthy diet! Maca is also an adaptogenic herb and has a lot of similar benefits to ashwagandha in that it can also help to increase energy levels and balance hormones. But, maca can also help to regulate your monthly cycle, reduce PMS symptoms, and help lessen a lot of the negative side effects when coming off of birth control. In fact, maca has also been shown to help with hot flashes and night sweats in menopausal women. Maca is not only great at balancing hormones, but it’s also a great source of calcium, potassium, selenium, and zinc. So, it’s a true superfood! And, personally, I’ve found that using ashwagandha and maca together gives this synergistic effect and seems to amplify their healing powers. However, if you’ve never used adaptogenic herbs before, I suggest starting slow and use them separately first to see how your body reacts. If it reacts positively to both when used separately, then you can try combining them. Using high quality superfoods is very important if you really want to see results with your health. A lot of superfood powders sold online are full of fillers and/or are very low quality, which means minimal results. I’m very picky with what brands I use when it comes to superfood powders and supplements. I only use the highest quality. For my Ashwagandha, Maca, and Cacao powders, I use Superwell Superfoods because they’re 100% organic and contain no fillers. And, I can certainly tell the difference in quality when it comes to seeing results in my health! Plus, you get a lot of bang for your buck! The bags are huge and are very affordable. 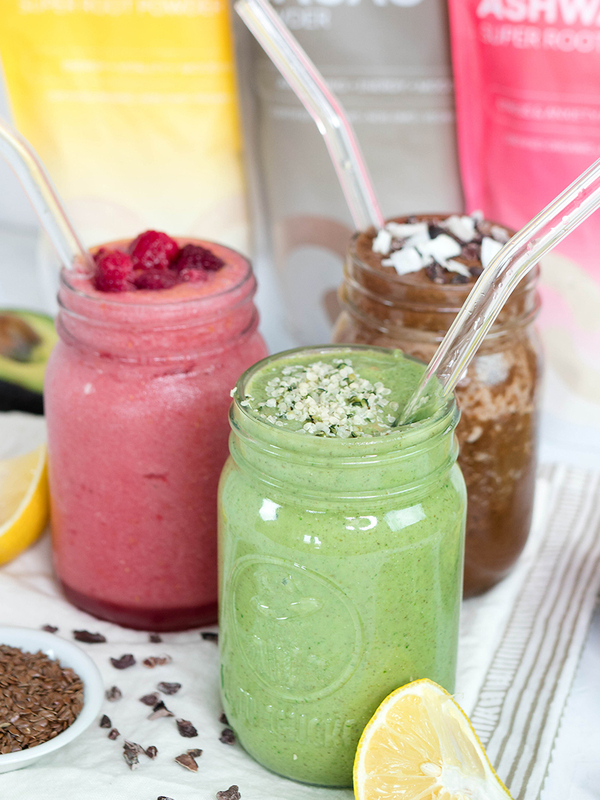 Okay, below I’m sharing 3 Hormone-Balancing Smoothie recipes to help balance your hormones. I hope you enjoy! *This post was sponsored by Superwell Superfoods. All statements and recommendations are my honest opinion. I was not paid to give a positive review.